The publisher emeritus of 'The Nation' responds to Anne Applebaum's "We Now Know"
Although I could have done without the "pathological," believe it or not, a part of me is glad that, in her review of Spies: The Rise and Fall of the KGB in America by John Earl Haynes, Harvey Klehr, and Alexander Vassiliev, Anne Applebaum refers to "Navasky's pathological inability to believe that there really were Soviet spies in America." The reason: It gives me a second shot at correcting an egregious New Republicerror. The last time a New Republic writer misstated my position on the fact of Soviet spies in America, it was Martin Peretz ("Red Dusk: The Rosenberg Bombshell," October, 2008). After musing about "what the folks around The Nation might think" about Morton Sobell's confession in September of 2008 that he and Julius Rosenberg turned over military secrets to our Soviet allies during World War II, Peretz wrote that I was "a cheerleader for the ‘Everybody was innocent' school in America…" On TNR's website, the head was: "The Persistent--And Despicable--Refusal To Believe That Julius Rosenberg Was A Communist." At the time I sent a Letter to the Editor. For reasons best known to TNR, it never got around to publishing my letter. In the hope that that was a lapse rather than a policy, I write now to correct TNR's latest misstatement. 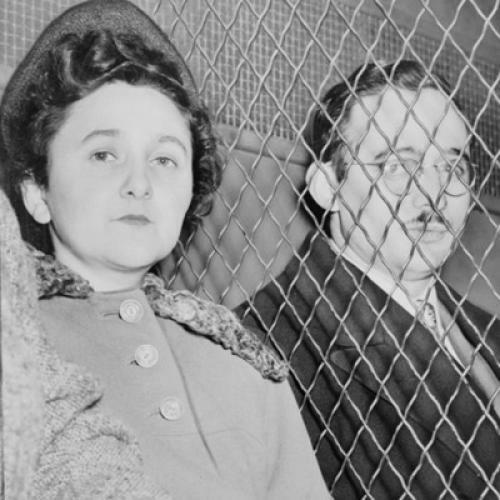 The facts about my position on the Rosenbergs, about whom I had long been an agnostic: Back in 1995, The Nation published an article by Walter and Miriam Schneir based on the release of certain Venona documents, as well as interviews of their own in Prague and Moscow, that concluded that Julius Rosenberg--a Communist--did, indeed, run a spy ring of which Ethel Rosenberg was likely not a member. She was, nevertheless, used as a "lever" in an unsuccessful attempt to pry a confession from Julius. On any number of subsequent occasions, I endorsed these findings. Had Peretz (or, I might add, Applebaum) done any research to support their ad hoc accusations, or even bothered to read the end of Sam Roberts's September 21 New York Times story on Sobell's admission, they would have known my position and seen me quoted saying, "I wish Morty and Ethel and Julian had been open about what they had and hadn't done, or in Morty's case, ‘come clean' before this, but these guys thought they were helping our ally in wartime, and yes, they broke the law, shouldn't have done what they did, and should have been proportionally punished for it." I also happen to believe that Colonel Rudolph Abel, Theodore Hall, and Morris and Lona Cohen, among many others, were Soviet spies. But that is neither here nor there. It is true that I have also written (and still believe) that the Venona documents need to be fact-checked before they can be accepted at face value; that the Rosenbergs' death sentence was unwarranted; that the case against Alger Hiss is full of holes; and that any number of neo-conservative post-cold war cold warriors too often neglect or underplay new evidence about these and other cases which seems to contradict their ideological predispositions. Maybe I'm wrong in these beliefs, but right or wrong, Peretz's and Applebaum's statements are flat-out false, and demonstrably so, as a few minutes of inquiry would have demonstrated. So the next time the folks around The New Republic want to know what "the folks around The Nation" think about anything, let me suggest that they check the record, and when they do, they will find that the folks around The Nation don't always agree with each other, no less Peretz's stereotypes of them, although they do have a preference for getting the facts right. Martin Peretz has a long history of sniping at The Nation (going back to February of 1979 when he wrote a letter to the editor of The New York Times in response to an article about the two magazines, "We have no feud with that magazine. Its readership is too tiny…to trouble with.") Now that The Nation's circulation is triple that of TNR (I take no credit for this, I'm emeritus), I can understand Peretz's agitated hyperbole, but Ms. Applebaum, who ought to know better, should be ashamed of herself. Victor Navasky is the publisher emeritus of The Nation. Please read responses to this letter from Anne Applebaum and Marty Peretz.